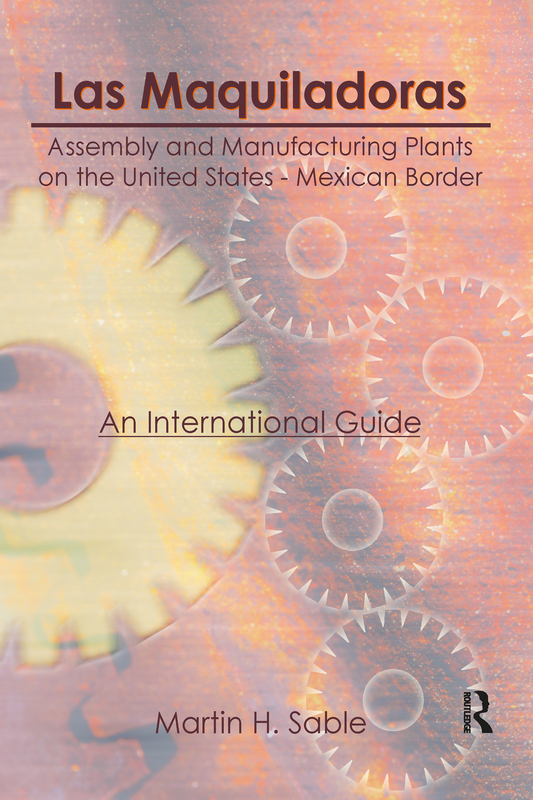 Here is a one-stop research resource on the assembly and manufacturing plants on the U.S.-Mexico border, termed Maquiladoras. A combination bibliography and directory, Las Maquiladoras focuses on various aspects of the American-owned companies that are located in Mexico and employ Mexican citizens. While the thrust of the items included in the select bibliography is on the industrial, commercial, and financial aspects of the phenomenon, including the actions of multinational corporations and their investments, there are also entries dealing with the matter of labor, United States and Mexican governmental undertakings, legal and urban problems, regional development and planning, population, technology transfer, sociocultural considerations, and the interdisciplinary field of border studies, which is concerned with a host of topics ranging form health and education to urban geography, economic matters, and the cultural impact on border residents of the establishment of maquiladoras. The impact of economic development, industrialization, and urbanization on border culture is also reflected. In the directory, readers can locate names and addresses of local, state, and federal level government agencies in the U.S. and Mexico; information centers; labor unions; professional associations; and research centers. The bibliography, comprised of books and book chapters, pamphlets, conference papers and proceedings, government publications, scholarly dissertations, videotapes of television programs, and magazine, journal, and newspaper articles, will be an indispensable tool for business people, bankers, journalists, government experts, economists, students, and librarians. The current interest in border studies and in Mexico, in particular, will make this unique book especially useful to scholars of folklore, geography, history, labor, political science, and sociology. Special features in the book include a list of experts in a variety of disciplines and a listing of U.S. and Mexican cities and towns on opposite sides of the border. Because the number of maquiladoras is expected to continue expanding rapidly, this volume should remain a highly valuable resource.